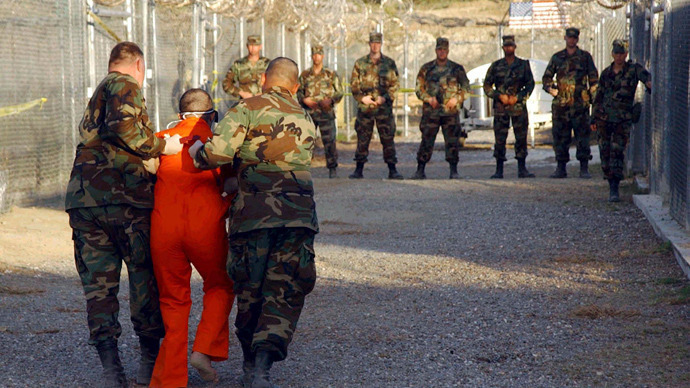 In its decade long-existence, the Guantanamo Bay detention camp has been much discussed and often reviled – but rarely seen. In this special report, RT’s Anastasia Churkina was granted access to the world’s most infamous prison. Among the scenes behind the wire: bound, blindfolded detainees kneeling in “non-compliant” orange jumpsuits; restraining chairs; feeding tubes; and the operating theater allegedly used to break the more than 200-day hunger strike protesting camp conditions. Images from the world’s 'most expensive prison' in the public consciousness often pain a bleak picture for the facility and its 164 inmates currently being held without charge. 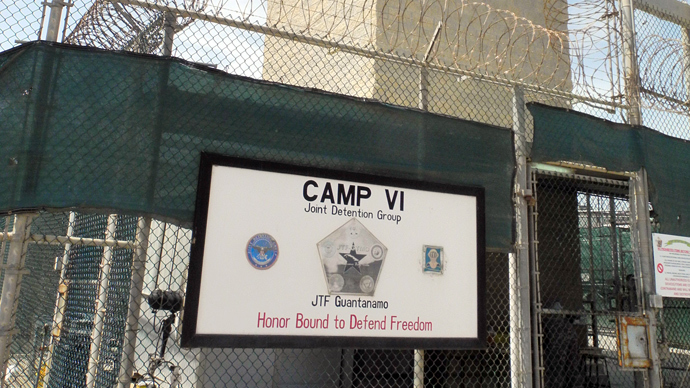 The horrors of the facility, whether real or alleged, take place in stark contrast to the idyllic setting at Guantanamo Bay Naval Base, in which the military prison is nestled. “I remember when I first moved here, I thought I would just see people in orange jumpsuits and fences everywhere, but I mean, the families all stay on one side and the rest kind of happens on another,” Thomas George, who lives near Guantanamo prison, told RT. Navy Capt. Robert Durand, who heads up a public affairs unit of 20 officers, has made it his mission to give the camp a makeover in the public eye. In this bid to show the world the US military is in fact doing it right, hundreds of journalists have been flown out to the camp over in recent years to get a first-hand look at what’s really going on. But while bringing reporters in can be viewed as a sign of greater transparency, once they are on the ground, the military makes its best efforts to control the narrative that comes out. From the moment the RT crew touched down in the southeastern Cuban harbor, they were met by the Special Guantanamo Joint Task Force Media team, who accompanied them every step of the way. For those familiar with the rank-and-file soldiers who serve in the US military, their demeanor might contrast with images of prisoner abuse which dominate the headlines, but is unlikely to come off as surprising. “This is a really big break for me in my career, for my military resume. The people I work with every day, they share the same idea; they’re all very proud to be here,” Sergeant Rebecca Wood, on her second deployment at Gitmo, told RT. 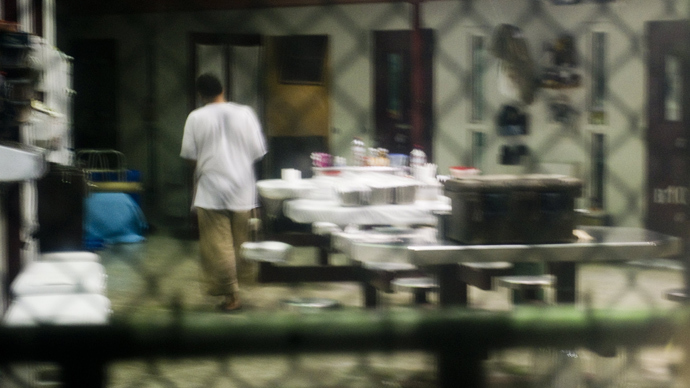 While international attention might remain firmly fixed on the detention facility, Wood believes that for many Americans, it has mostly faded into the distance. “You’ve heard about it in several movies, but it’s just a place that people forget about – they don’t ever think about it,” she said. 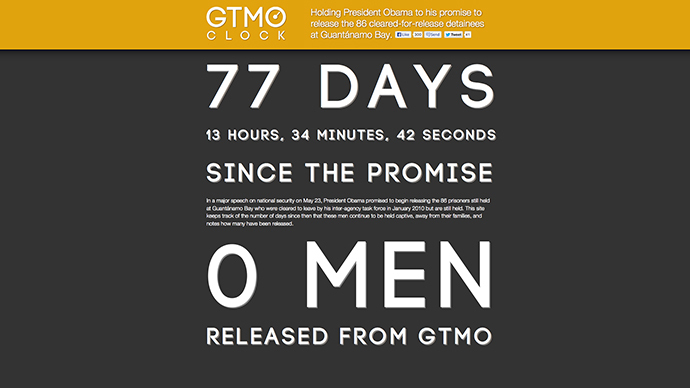 Guantanamo might have fallen off the radar for many Americans, but for much of the world, the plight of the detainees remains firmly planted at the center stage of global affairs. 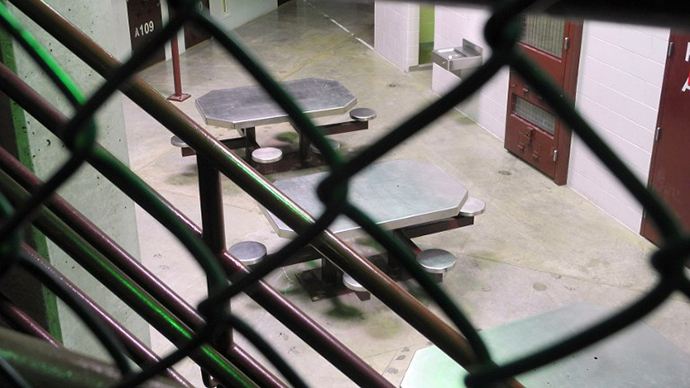 Meanwhile, with seemingly no end in sight in the saga of indefinite detention, the price tag on keeping the prison open is expected to reach $5.24 billion by the end of 2014. For more, watch RT’s special report by Anastasia Churkina.